Fake News has upset a lot of people and caused real damage but it’s been good news for journalism analysts like me. I’ve never had more interest in a media issue than this. I’ve never been busier talking and researching a topic and its consequences. You may be sick of hearing the phrase but that is part of the problem. This is one of the most important information issues of our time. This is not just because of those Macedonia teenagers peddling lies. Not just because of extremist political factions seeking to wreck liberal democracy. Not even just because we have presidents in Russia and America who seek to profit politically and personally from encouraging a cynical, disruptive nihilism and who throw the term around like rhetorical grenades. Fake news is the canary in the digital coal mine. It is a symptom of a much wider systemic challenge around the value and credibility of information and the way that we – socially, politically, economically – are going to handle the threats and opportunities of new communication technologies. Let’s also accept that it may not have decided the US election – there were much bigger forces at work. However, I suspect it was a marginal but significant dynamic in shifting the agenda and mobilising support for Donald Trump. More importantly, it is indicative of a wider shift towards a more decentralised media ecology where insurgent sources can have more impact than in the past. Jonathan Albright’s analysis of ‘fake news’ shows that it is highly adept at exploiting digital networks from Facebook to email fuelled by technology like bots that accelerate its spread. This is more than a technological problem. It requires us to think realistically about how people understand and share information in the digital age: feelings are as important as facts. Identity is as much a motivation as integrity. These are not necessarily ‘bad’ things. But they are not how mainstream news media and politicians used to think about information and politics. As I’ve written elsewhere, there is a commercial and technological context to fake news, but ultimately it is a political issue. We have to understand ideologies of information. For anyone dealing in information, ethics is now not an add on. It is integral to the information economy. Trust is the currency of networked media. Around fake news we have a remarkable opportunity to get it right. Firstly, we have to get this in perspective. I think a lot of the reaction to ‘fake news’ has been a moral panic. Much of what we – and Trump – calls fake news or post truth or filter bubbles – is simply what we disagree with or feel threatened by. I’m not sure we’d be having this debate among ‘liberal elites’ if Hillary had become president and the UK had voted to Remain. In the UK, fake news has had less purchase. Possibly because we already have a partisan media and our public is used to journalists, politicians and other communicators bending the truth to suit agendas. That’s not always a bad thing if its transparent. 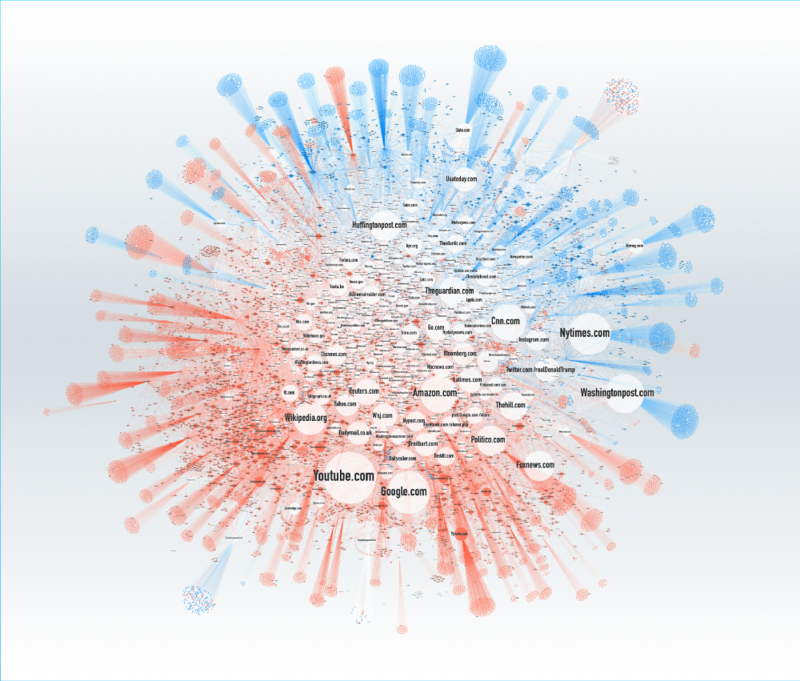 Opening up news media to more diverse perspectives and sources allows for a more robust, diverse debate where the public has more say. But the best debates that produce the most sustainable policy outcomes must at some point return to reality. Democracy needs evidence for accountability. There may not be a single truth, but there are such things as facts. If we get to a situation – which we are close to – where everything is relative, where no-one accepts the terms of a debate – where expertise and emotional engagement are distrusted. Then we all stand to lose. Information, data, discourse – online, on demand, personalised, distributed, ‘disintermediated’- is now the medium, the environment for social and economic life. If it is polluted then anyone seeking credibility stands to lose. Look at what has happened to companies like Uber or Facebook recently. They are extraordinary services but they did not align their actions and strategy with a credible ethical framework. They were – to varying degrees – fake. In my sector of journalism, fake news is the best thing that has happened for decades. It gives mainstream quality journalism the opportunity to show that it has value based on expertise, ethics, engagement and experience. It is a wake up call to be more transparent, relevant, and to add value to people’s lives. It can develop a new business model of fact checking, myth busting and generally getting its act together as a better alternative to fakery. One of the positive effects that ‘fake news’ has had is to provoke debate but also action. We can see networks taking action to separate advertising from fake content. We see a boom in fact-checking. Tools and policies are being designed to help the user to assess the quality of information. There is a renewed interest in developing media or news ‘literacy’. That last point is important. Media is not the world and it is as much a reflection as a cause of social, economic or political problems. Regulation won’t solve this. In many ways it is a threat to the virtues of the open internet. Media literacy won’t solve this. Though of course, more literacy is always a good thing. This is a long-term incremental problem. It’s an age old problem, that of the ideal of the informed public. It’s not solvable – but it’s treatable. And any investment in this will add value to communications as an industry and to society as a whole. A BuzzFeed News analysis found that top fake election news stories generated more total engagement on Facebook than top election stories from 19 major news outlets combined. How Teens In The Balkans Are Duping Trump Supporters With Fake News. BuzzFeed News identified more than 100 pro-Trump websites being run from a single town in the former Yugoslav Republic of Macedonia. Britain Has No Fake News Industry Because Our Partisan Newspapers Already Do That Job. An analysis by BuzzFeed News found there is a very limited appetite for completely fake news in British politics, thanks to our highly partisan newspapers. The FT’s Tim Harford is very good on the problem with facts and makes an interesting case for developing public and journalistic ‘curiosity’ as a cure. 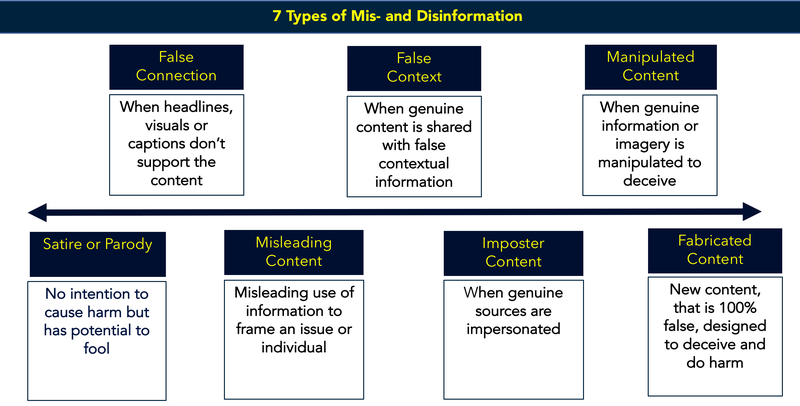 And from a group of academics, a practical field guide to ‘fake news’ and what to do about it. Absolutely agree that moral panic around “fake news” is the best thing that has happened to journalism, for a long time. Recent weeks have seen my google alerts for journalism crisis and related terms rocket through the roof, where once they were drained from the swamp by floods of feel-good nonsense about a utopian future of news, future of journalism and, in “native” ad land, futures of media. The sudden uptick in subscriptions for mainstream media outlets has got to be a good thing, even if it amounts to compensating for a fraction of the losses from newsrooms since the hay days of the 1990s. But POLIS kind of lost me when totting out a lengthy list of journalistic should-do’s. Is this before, after or during an already insane workload? If my experience in sleepy, remote newsrooms of the South Seas (don’t be fooled, small islands hold big secrets) is any guide, we barely remember to breath right, let alone tick off a list of strategic imperatives. Especially not when global newsrooms are dominated by the kind of war-mongering, eat-the-poor ilk of Rupert Murdoch. Sadly, the days of bottom-up influence from crusading journalists appears to be over, outsourced to embattled volunteers such as Wikileaks and Snowden. Perhaps the London School of Economics might profit society better by – hold on, profiting society is still what economics is about, right? Assuming that, and yes assumptions and all that, policy analysis might better be directed towards the top-down part of town, focusing on existing structures that determine whether or not someone is a “fit person” to run media outlets. Advising journalists on solutions, when they’re expected to adhere to corporately correct notions of news, is a bit like outlining proper work ethics for slaves. The US right wing comprises rational conservatives, cynical Republicans, white nationalists, and the religiously anti-intellectual. This latter group is pre-disposed to shun analytical thinking and scientific method in favor of literal-minded alt facts like Creationism and gullibility-exploiting interpretations, often contradictory of current events, such a Hurricane Katrina’s being god’s retribution on the iniquity of New Orleans that, therefore, inexplicably spared the Old French Quarter and its major concentration of gay citizens. Combined with the religious right’s desire to convert its tax-free income into political contributions in defiance of our statutes separating church and and state and its desire to ensure that education teaches servility and religious answers rather than questioning and science, and you have a quarter of our population in fundagelical thrall in a way that doesn’t obtain in your citizens inoculated against biasetd news to the extent that of your declining 5% religious population only 10% are pentecostal. In short, we’re screwed, and much more severly, by fake news.